PSPB is Now Open in the Brac! The Public Service Pensions Board is pleased to announce that we have opened an office in Cayman Brac at 5 Dennis Foster Road (the old Kirk Freeport location). ?The PSPB has released a Request for Proposals (RFP) to invite interested vendors to submit proposals for a New Pension Administration System. 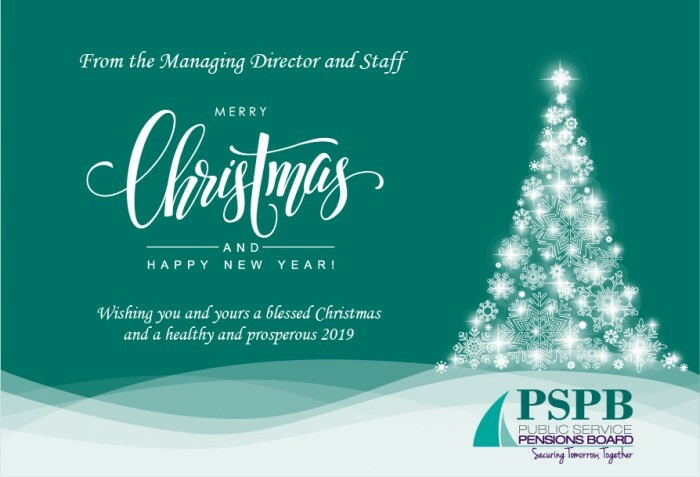 Please note the PSPB office will be closed on Monday, 24 December 2018 from 12:30 p.m. We will resume normal business hours at 8:30 a.m. on Thursday, 27 December 2018.